Call my attraction to this type of non-melodic, structureless "music" some attempt at appeasing my need to establish myself some wannabe sophisticate. Or, just understand that, since listening to both John Coltrane and Ornette Coleman trespass into unconventional means of musical expression, some of which remain the most severe and extreme forms I've ever heard, I'm prone to subjecting myself to the free form language of any instrument, saxophone, guitar, or whichever medium suits its author. 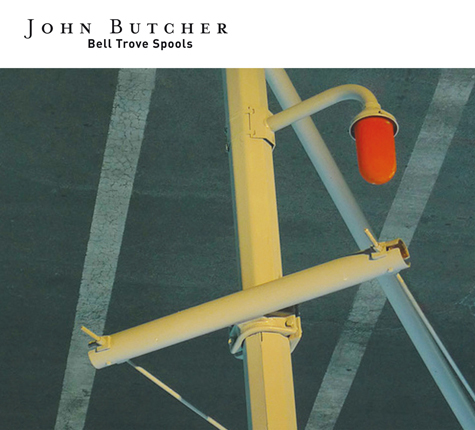 Today, I listened to John Butcher, whose solo saxophone album, Bell Trove Spools, will be out this November on Northern Spy Records. Butcher's sax work breathes and hums, bellows and moans, reaches shaky peaks of vibrating tone, a sputtering verse followed by a more fluid line of wavering stress. This admittedly sounds more like an exercise than a piece of music, but Butcher eventually gains some level of riff and rigor, almost as if he's playing a song at half its intended speed only to spew more conventional chords in rapid couplets. Info and links are courtesy of Northern Spy Records. This November 2012, Northern Spy is proud to present two of John Butcher’s most recent experiments in moving soundwaves through space. On Bell Trove Spools we hear Butcher in two distinct situations: Richmond Hall, a Houston art gallery housing a permanent Dan Flavin collection that has been compared to a bowling alley; and the high-ceilinged marble room in Brooklyn which is the new home to Issue Project Room. Butcher is heard on his two saxes of choice, the soprano and the tenor, and suspended in space, fluid, challenging, at times melodic and always exciting. In short, John Butcher knows how to work a room – and that’s not about relating to the audience. In fact, there was no audience present for the Brooklyn session. Bell Trove Spools is just Butcher and a saxophone and spaces ready to receive. The results speak for themselves. Check John Butcher's Invisible Juke Box feature in the latest issue of The Wire (Oct '12)! In conjunction with the feature, Butcher selected some 'top picks of the web' in a post on their website.